Today Amanda from Jedi Craft Girl joins us as the last stop on the #WonderlandTwo blog tour! 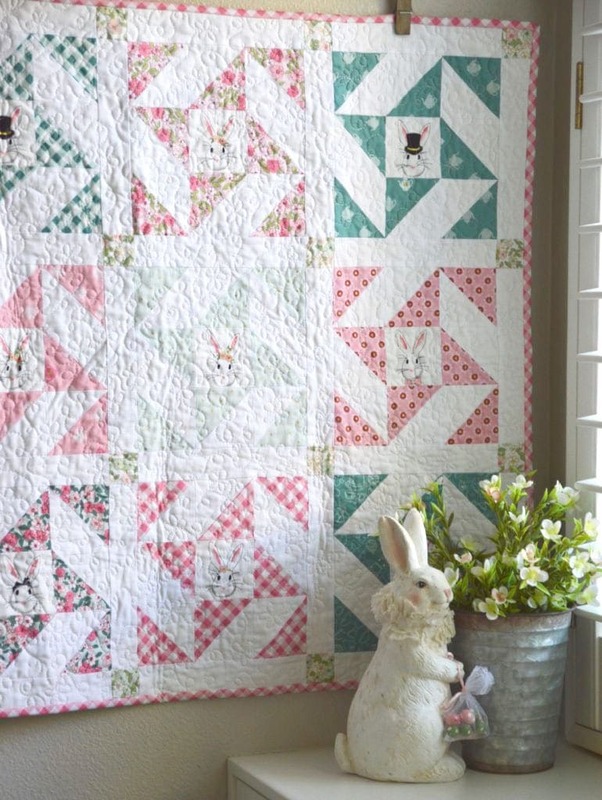 She is sharing a free tutorial for this snuggle bunny quilt! 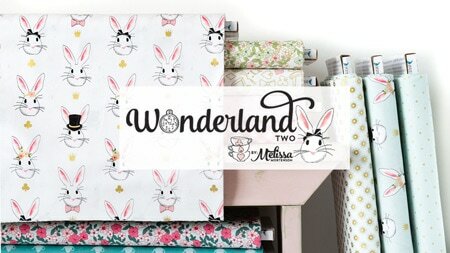 I’m so sad that our month long Wonderland Two blog tour is coming to a close! 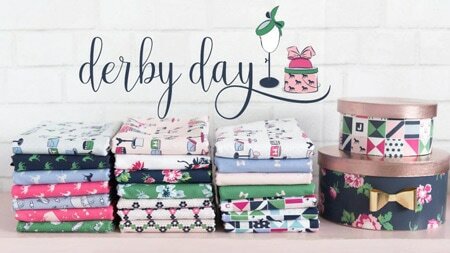 Hopefully you’ve found some fun new sewing and crafting projects to add to your “to do” list this Spring! 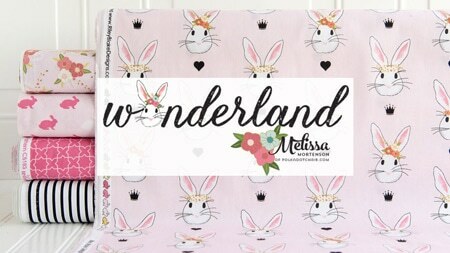 If you’re a fan of Wonderland fabric, don’t worry, this won’t be the last you see of Wonderland projects! 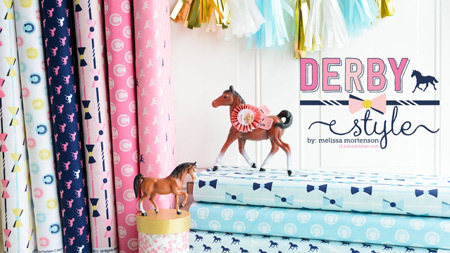 I have a few more fun free sewing and crafting tutorials planned during the next few weeks. 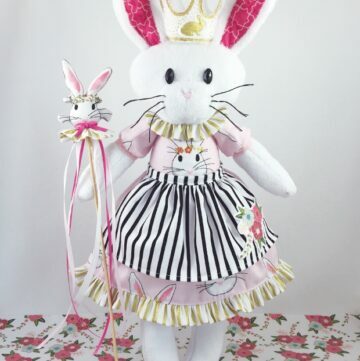 Easter is just under a month away, and those bunnies need a bit more time in the spotlight *wink*. I’ve been so amazed at the talent of all of the ladies that have shared projects during the tour. Todays project by Amanda is no exception. 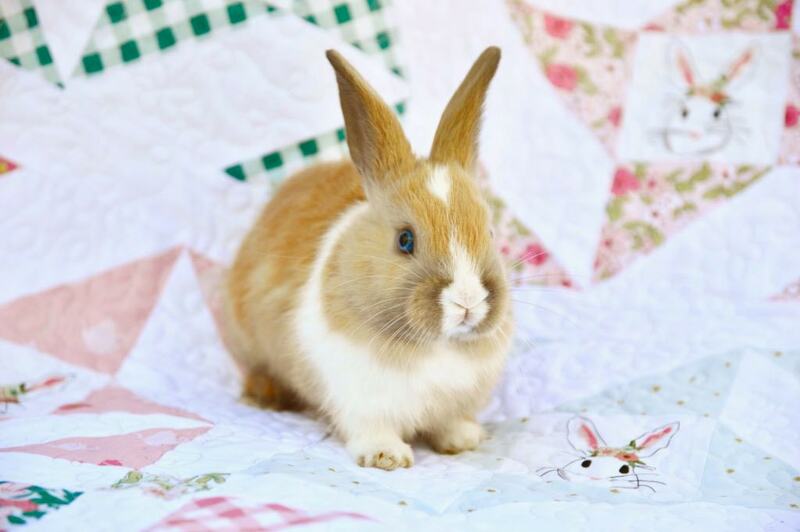 She has on her site a free pattern for this bunny quilt. Don’t you just love the quilt blocks? So clever! 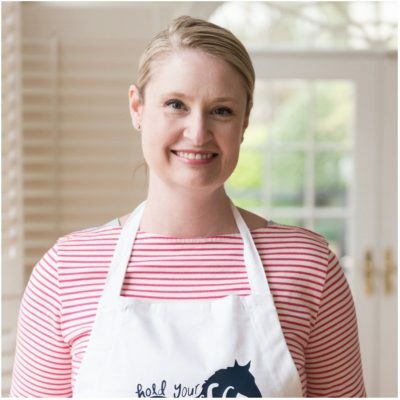 Not only is she sharing a tutorial for the quilt, she’s also sharing lots of quilting tips and tricks. 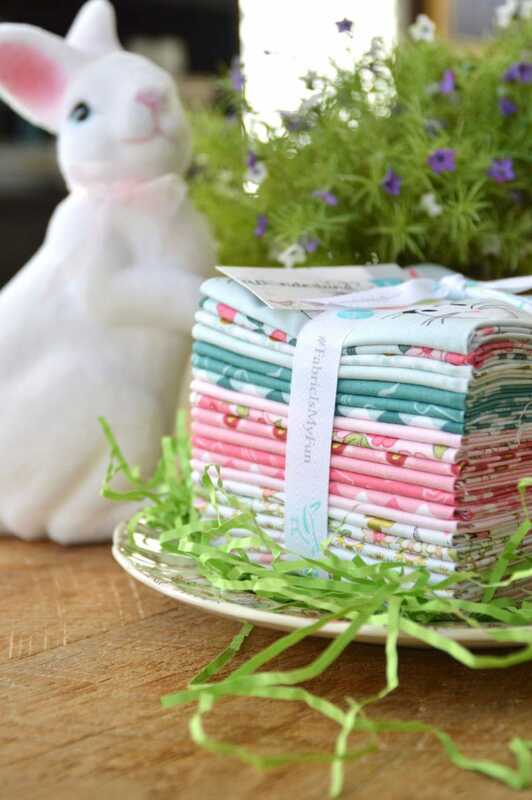 Like her “go to” way for fussy cutting fabrics, to tips to pressing quilt seams without burning your fingers. She also knows someone with a bunny and I’m DYING at how cute all of the photos turned out! 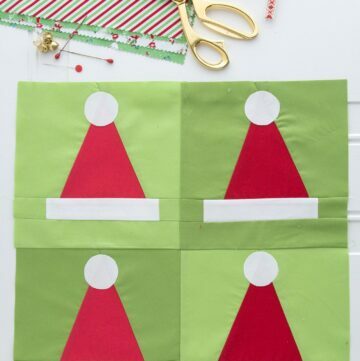 To get the free quilt pattern, just CLICK HERE to visit Jedi Craft Girl! 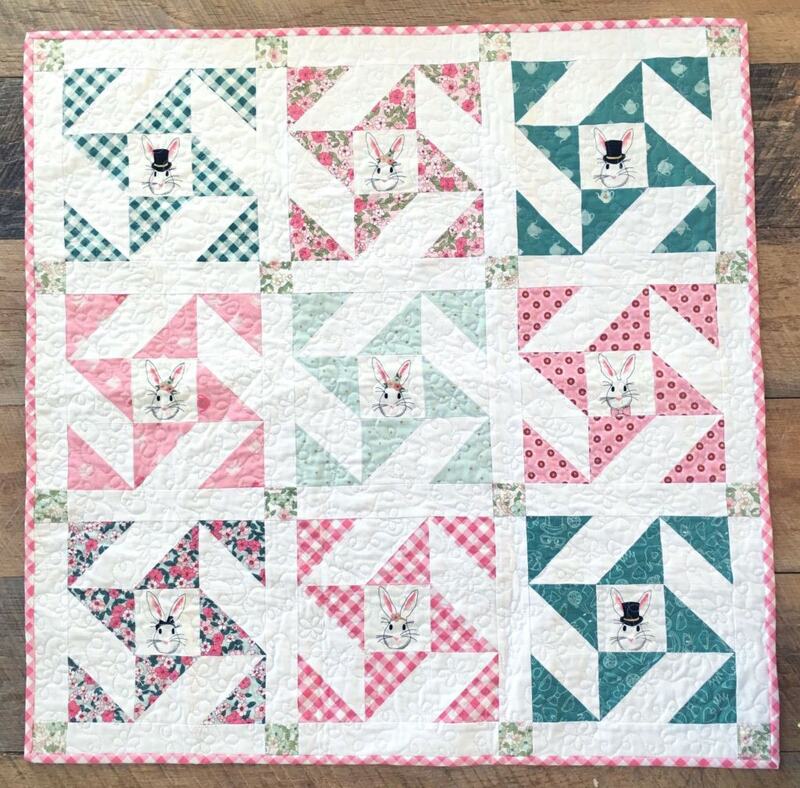 This quilt is absolutely adorable. I would love, love, love to own one.